Join us tonight at 9PM in the TUC Food Court as we continue our discussions on various world religions! Tonight's meeting will focus on Buddhism. Remember, all faith backgrounds are welcome to attend, so bring a friend! 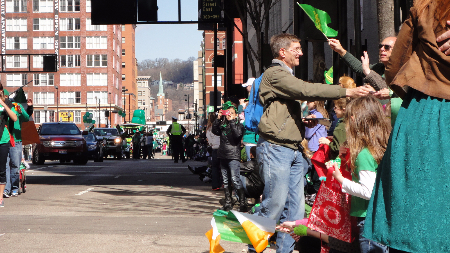 Also, our outreach for this month is at the St. Patrick's Parade in Downtown Cincinnati! This is a fun and easy way to "get your feet wet" with sharing your faith! The outreach starts at 11:30am on Saturday (03/14/15). Let me know if you plan to attend or need a ride!